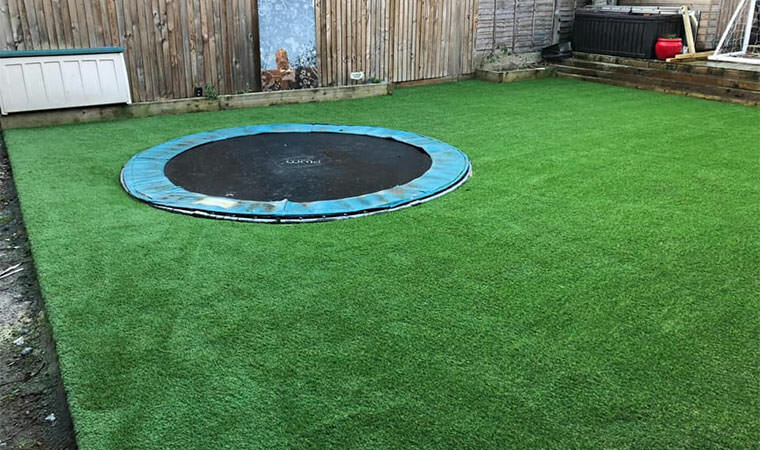 The second job of the week with a trampoline, this one was in Bexleyheath, London. 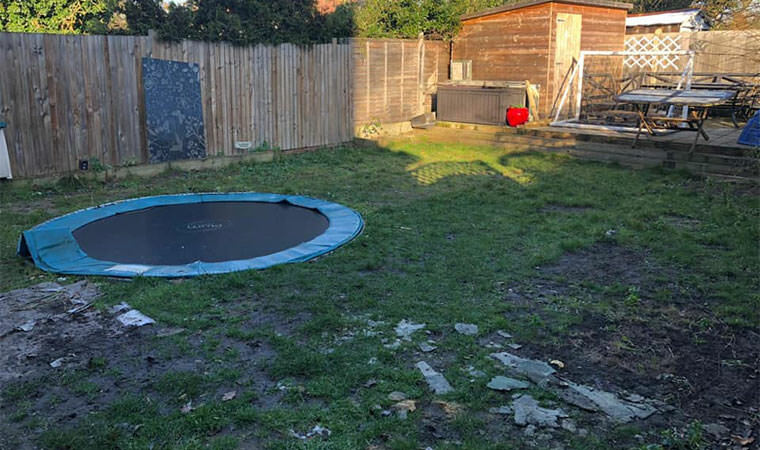 There can be an issue with installing a sunken trampoline in a garden if they are not fitted well. To get it right the trampoline needs an interior wall to make sure the soil does not fall into the well. We had to improvise a bit on this one. We bent corrugated plastic sheeting around the edge and back filled it with concrete. The Outfield was chosen and fitted.